"You can´t even talk about luck, because you have to find your own luck and in this case we just gifted it to them. "Now we´ve got to lift our heads, as we played really well and are still top of the group." 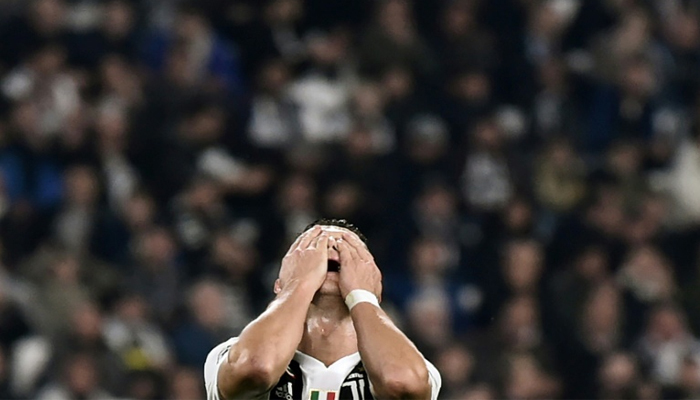 For Massimilano Allegri´s seven-time reigning Serie A champions it was a first defeat this season. "The Champions League is a special competition, where you could be winning, but you can´t relax, as anything can happen," continued Ronaldo, who has won the competition four times Real Madrid and once with United. "I was happy with the goal, but I´m a little bit disappointed because we should win the game with three or four goals." "We are top of the group, we´re a good team, but it´s a long way for the final. These people, the club, they dream of winning the Champions League, but we have to take it step by step." Allegri added: "It leaves a bitter taste in the mouth, but we can´t win all the time. "We need to find positives and that is that this defeat won´t be painful in the end."